Concrete Repair | (86)13911293982 | MUHU (China) Co., Ltd. Concrete Strengthening: MUHU composite strengthening systems restore damaged concrete while increasing it’s load bearing capacity. Concrete Repair: MUHU repair mortars provide durability and protection against corrosion. Crack Repair: MUHU injection resins fill and seal cracks and voids, re-establishing the structural integrity and protecting against further deterioration. MH-EP is a three-component pourable grout based on a solvent free epoxy resin and selected aggregates. It cures to form a hardened mortar with excellent adhesion to many substrates. This, combined with the product’s ease of application makes it ideally suited to site application. Polypropylene Reticular Fiber for Concrete（MNC-PRF）It’s also called polypropylene fibermesh which is made through special production techniques from polypropylene. Polyacrylonitrile Fiber for Concrete also called Acrylic Fiber, is a new type reinforcing fiber that improves strength and anti-cracking resistance of asphalt concrete or cementitious concrete. It’s a composite fiber specially processed from polyacrylonitrile resin to get similar effect with polypropylene fiber. Asphalt Concrete Fiber: It’s a new kind reinforcing and crack-resistant material specially developed for asphalt concrete. It’s made of 100% polyester synthetic materials through special techniques and comes into form of bunchy monofilament. Steel Fiber: It’s widely used in road pavement, water reservoir, nuclear power station, airport apron and runway, the fundament of high-rise buildings, underground garage, mine tunnels,etc. It’s specially made for repairing concrete where there’s dust exposure due to weak wearing and abrasion resistance. After it’s sprayed on the surface of concrete directly, it infiltrates into the inner part and forms a three dimensional crystal after chemical reaction with concrete. 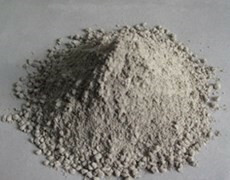 Consequently, it increases concrete strength and hardness, improving anti-wearing ability and brightens surface. It’s easy for application. 1. It’s a two component dynamic load structural adhesive that coagulates at room temperature. 2. Structural Adhesive that bears bridge dynamic load withstands 2million times of dynamic loading fatigue test. It’s mainly used as steel bonding agent and steel bar reinforcing agent in concrete structures that bear dynamic load such as railway, bridge, road etc. MNC-SAP (Super absorbent polymers) is a curing agent, which can effectively prevent cracking of concrete, increase the strength of concrete and improve frost resistance and impermeability of concrete. Concrete for adding this product is recommended to use in arid, windy，weathered and cold areas. 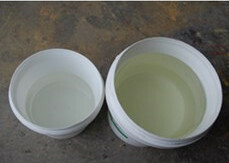 1.CGM-QGW strength can reach up to 10-15MPa in one hour and 40MPa in one day after grouting. 2.CGM-QGW is a rapid strength, cement-based, nonmetallic, non-shrink grout for supporting machinery requiring precision alignment and quick turnaround. 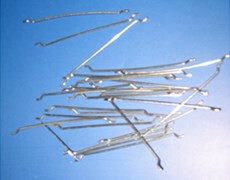 3.It provides high early and final strength, excellent substrate adhesion and fluidity. It is non-toxic, non-corrosive product. 1. 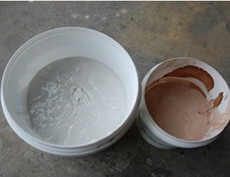 It’s used for repairing concrete surface such as structural surface or floor. 2. 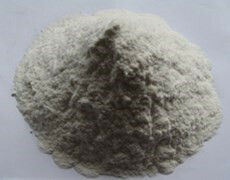 It’s used as a plastering material for new type wall surface or plate surface. 3. It’s widely used in express way, high viaduct, concrete building at sea, old and new construction work etc as a repairing material.